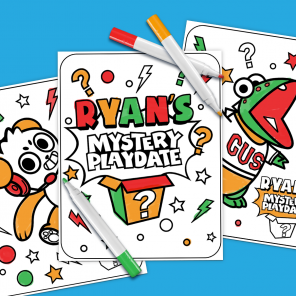 Your little one can play an active role in your Hanukkah traditions! Oh Hanukkah, oh Hanukkah, come light the menorah! 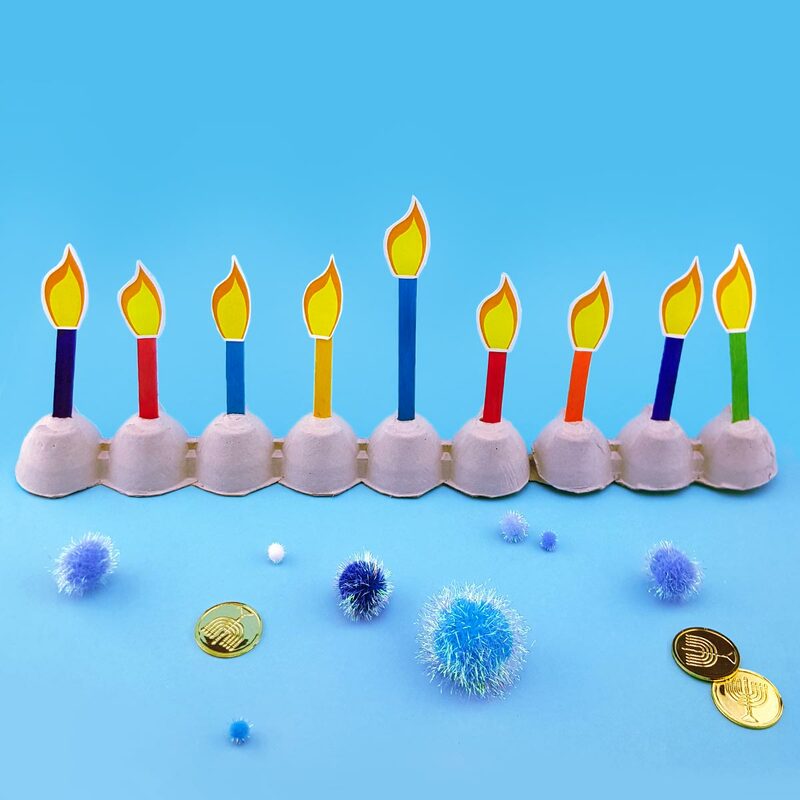 This easy, safe menorah craft is perfect for making together with your child and teaching them about important Hanukkah traditions. Step One: Cut off the egg carton lid and locks, and then cut the egg carton lengthwise into two long 6-cup rows. Trim any rough edges. Step Two: Set aside one row and cut the other row in half, width-wise. 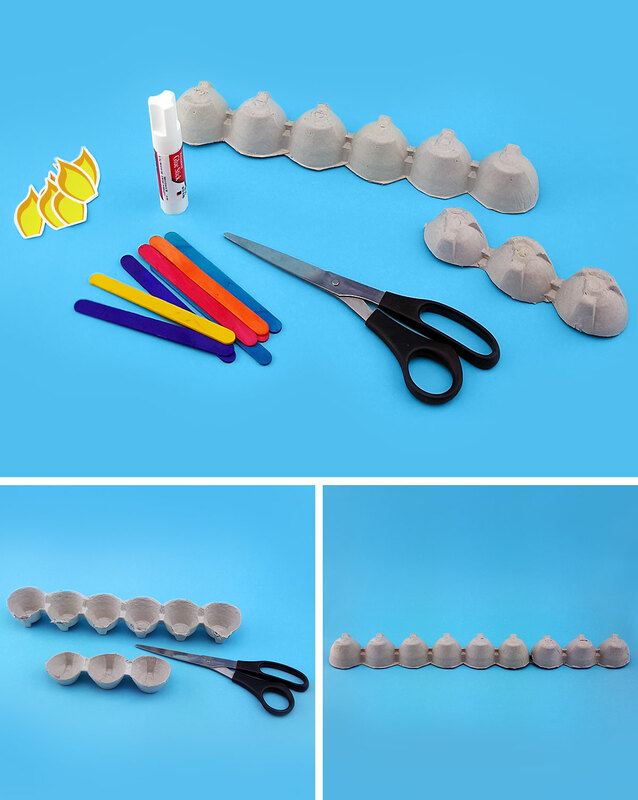 You’ll now have one long row of six egg cups and two small rows of three egg cups each. Step Four: Glue the 6-cup row to the end of one of the three cup rows. You’ll now have one long row of 9 egg cups. Let the glue dry. Step Five: Help your child paint the menorah with glitter paint. You may want to apply extra paint over the seam where two sections were glued together. Step Six: After the paint dries, insert colored craft sticks into each slit. Step Seven: Help your child cut out Hanukkah stickers on sticker paper and use them to decorate the menorah. Step Eight: Print the flame templates and cut out nine flame shapes. 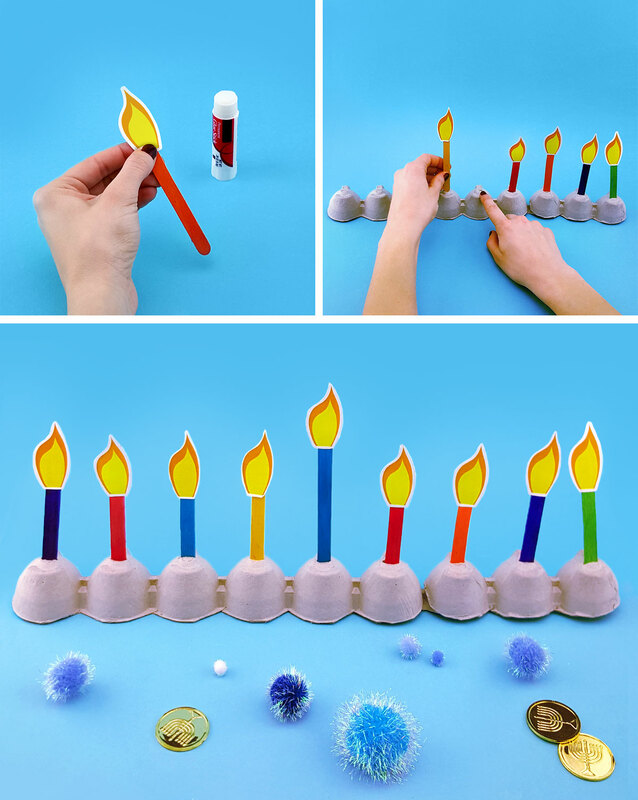 When Hanukkah begins, have your child glue one flame to a craft stick each day.